HROOGAR, the King of ATHERON, has offered a reward for defeating the RED Dragon. 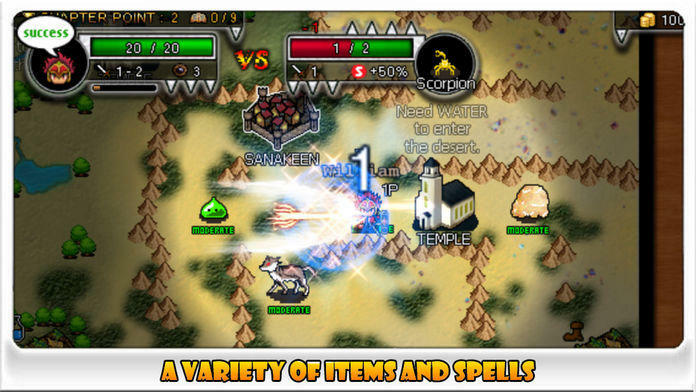 Defeat the RED Dragon and Become a Dragon Slayer!! • Fixed the Game Center Data Error in the multiplayer mode on some devices. • Fixed the "The game froze after using the Sprint spell" Bug. • Support 4.7/5.5-inch large screen graphics for iPhone 6 / 6+. 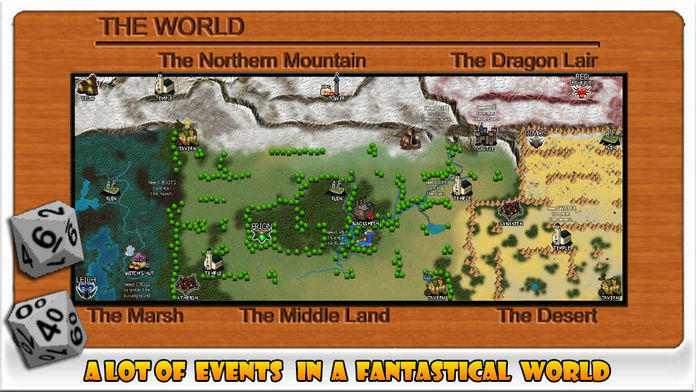 • Added two 10-sided dice for a variety of Event Cards. 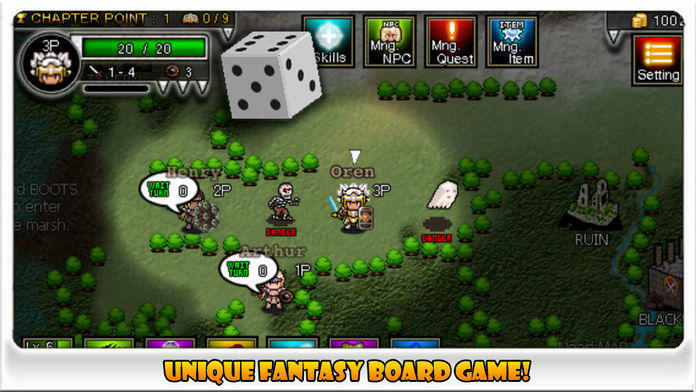 • You will gain more Gold and EXP when you defeat monsters. This patch can reduce gameplay time. • Fixed the "can't see a help pop-up window in the Asynchronous multiplayer mode" Bug. • Fixed the "keeps deleting games" issue in the Asynchronous multiplayer mode. : If the Game Center data was corrupted over bad network connection, it might be deleted in the old version. • Can read event messages for a longer time in the multiplayer mode. • Added AFK(Away from Keyboard) Users Turn-Skip Button in the Asynchronous Multiplayer Mode. 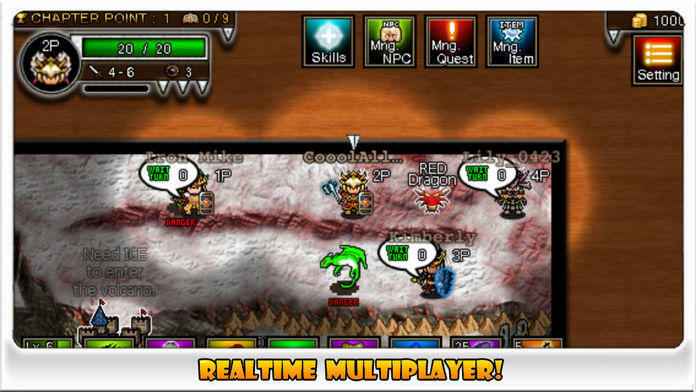 • Fixed Asynchronous multiplayer mode Crash for iOS 5.x. • Finally Multiplayer Algorithm Rework patch is completed for Multiplayer sync broken issues over bad network connection. • Now you can cross your multiple devices with your Asynchronous multiplayer games in progress. • Advanced Game Rules to make Hroogar more fun. • Support for IOS 7. • Totally Chanced Game Rules to make Hroogar more exciting! 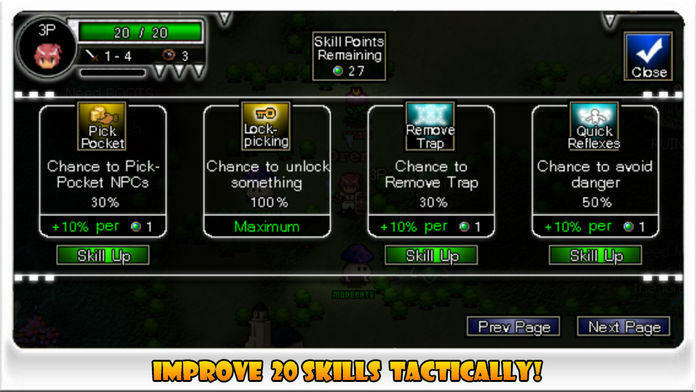 • Can use your Skill Bonuses in the Single Play. • Now Support 16:9 widescreen graphics for iPhone 5. • Character's skins support in the offline play. • Adjusted Leaderboards scoring system. • Fixed Special Feats Auto Leveling Bug.